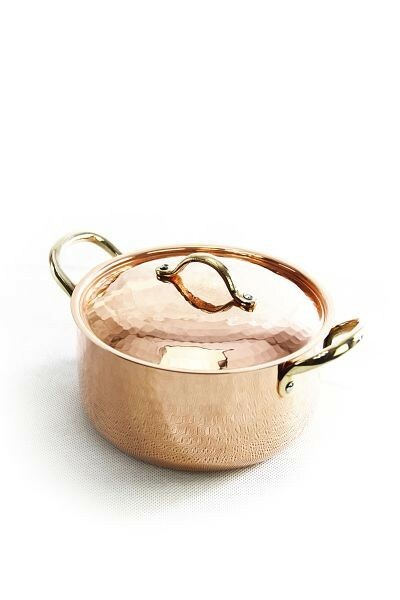 Lovely copper pot with which cooking is lots of fun. 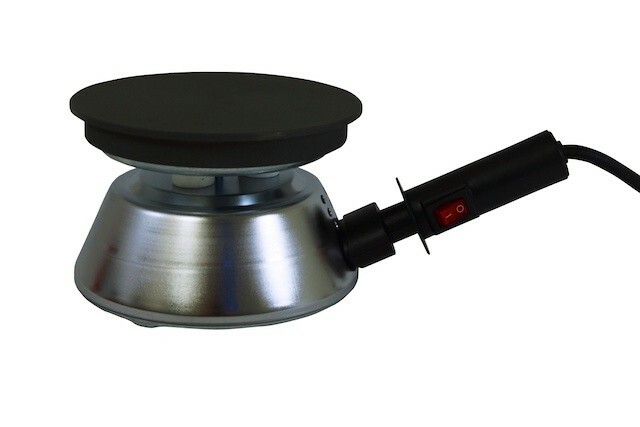 Professional quality, made of heavy, tin-plated copper with handles on the side and a cover. Copper pot with which cooking is lots of fun again. Professional quality, made of heavy copper with handles on the side and a cover, and tin-plated, food-safe inner surface. 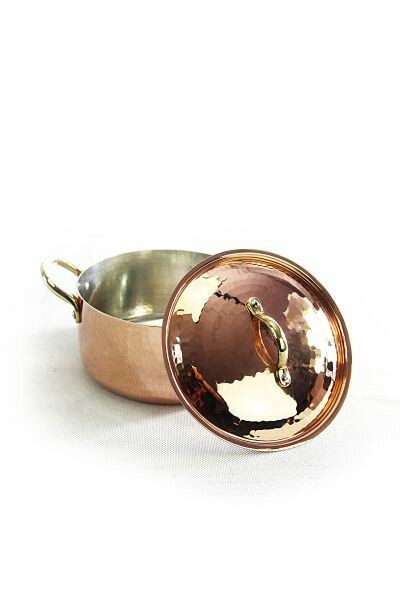 These top quality copper pots are not only visually appealing, but thanks to the silver tin plating also completely uncomplicated to handle and use. 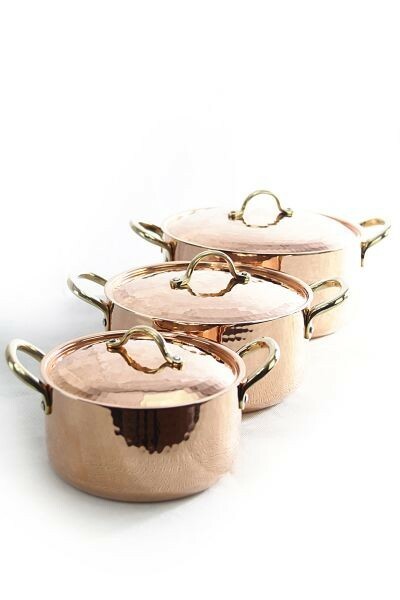 You can use the pots for all kinds food, even for cooking with acids – the tin plating protects the copper from oxidation. 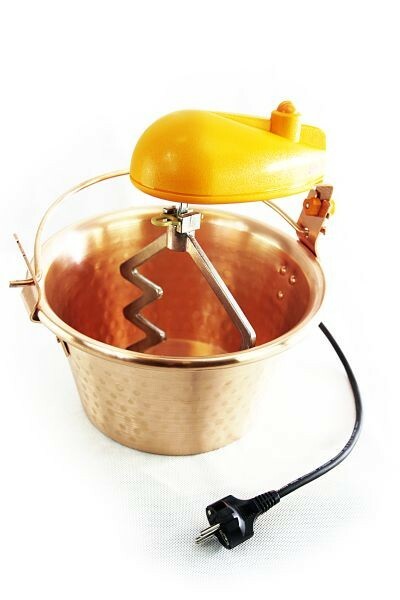 Nevertheless, you have the advantage of the unique heat conductivity of copper and very soon you will not want to use any other kind of pot.